The Indian Grand Prix set to return in 2016 said by Formula One boss Bernie Ecclestone in a meeting held on the side-lines of the inaugural Russian grand prix in Sochi last month. 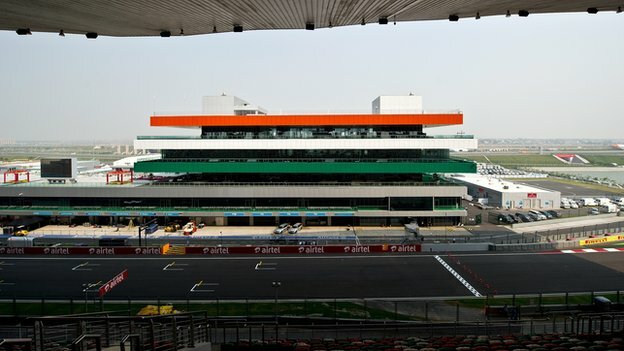 The Indian Grand Prix was dropped from the 2014 calendar year after three successful seasons because of only heavy taxes and some bureaucratic hurdles that the race did not happen this year and also has been ruled out for 2015. Besides the tax problems, there are substantial costs involved in staging a F1 race season after season. Ecclestone-led Formula One Management (FOM) and race promoters Jaypee Sports International (JPSI), headed by Sameer Gaur, first want to honour the five-year contract and then work on securing the long-term future of the event. “We (Sameer and I) had a good meeting in Russia. I was assured that the tax and other related problems will be sorted out in due course and then we are good to go back. It is too late for 2015 now, so we are working on 2016,” Ecclestone told PTI from his London office. Besides the tax problems, there are substantial costs involved in staging a F1 race season after season. JPSI is believed to have paid around USD 40 million each for the first three years as licensing fee to FOM. “We will go the central government again in due time, once we are closer to the race time (in 2016), we will go. It could be a win situation. F1 is right up there with hosting Olympics or Football World Cup and its presence can only benefit India,” Gaur added.